I recently wrote an article for The Roar Effect and I thought I would share it with you. From a young age we are made aware of how the foods we eat affect us emotionally. Think back to being a child and the sugar high’s we would experience at a birthday party and then the tantrums we would have that evening that would drive our parents crazy. We discovered that the processed sugary foods that gave us all that energy also had adverse effects. Out of the many factors that contribute to the development of depression, nutritional imbalances may be one of them. So what can we eat to give us energy and make us feel great all the time? Below is a list of feel good foods that are great for those days when you don’t feel like getting out of bed. · Salmon is full of Omega 3, which is important for brain function. Surveys have shown that the more fish a population of a country eats the lower is their incidence of depression. · Spinach is high in folic acid that has been reported to alleviate depression and fatigue. It is also packed with magnesium that serotonin needs to stabilise your mood and ensure a good nights sleep. · Quinoa is a high protein complex carbohydrate that means it won’t cause spikes in your blood sugar level leading to unstable moods. It helps the body to produce serotonin, giving you a relaxed feeling. · Strawberries are packed with vitamin C, which is essential for the proper conversion of tyrosine into dopamine, adrenaline and noradrenalin, which are ‘feel good’ chemicals. · Beef contains high levels of vitamin B12. Vitamin B12 is required for proper red blood cell formation, neurological function and DNA synthesis. Studies have shown that quite often people suffering from depression are deficient in vitamin B12. 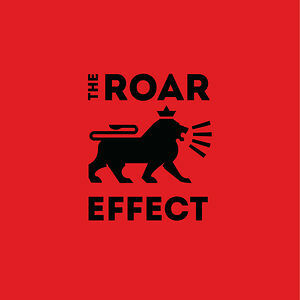 If you would like to find out more about the wonderful things The Roar Effect are doing to eliminate youth suicide check out http://theroareffect.org.